When you get to heaven, do you have a list of people you want to seek out and talk with? Maybe it is a loved one or family member, which is expected. But you might also want to meet with Moses, or Abraham, or maybe John the Baptist? I have a list of such people I want to meet. But has it ever occurred to you that such men might be excitedly waiting for you to arrive in heaven so that they can sit down and talk with you? The truth we see in Luke 7:24-30 teaches that this is a very real possibility. As great as Abraham, Moses, and John the Baptist were, you are greater still, and so as much as you might want to talk to them, they want to talk to you. This is what we see in Luke 7:24-30. As Christians, as members of the church, something similar has happened to us. We have an older brother. He was the greatest man ever to be born of women up to that time. Yet any who belong to the family of God are greater than he. If you have believed in Jesus for eternal life, you are part of this glorious family, and as such, we are greater than this other brother. This other brother is John the Baptist. According to Jesus, John was the greatest prophet, and greatest man born in the Old Testament era, but any person in the new kingdom, under the new covenant of grace, is greater than John. We see all of this in Luke 7:24-30. Jesus begins in Luke 7:24-27 to talk about the greatness of John the Baptist. To understand the greatness of John the Baptist, you must understand the situation the Jewish people found themselves in before he came on the scene. Jesus says something very profound about John in Luke 7:24-27, but if we don’t have some background information, we miss what is said. In the Old Testament, the Israelite people were very used to having prophets around. Beginning in Genesis with Enoch and Noah, and going all the way through the periods of Judges and Kings, prophets were in the land, preaching and teaching the Word of God. They called the people back to obedience. Eventually, due to repeatedly ignoring God’s prophets, and willfully rebelling against God, all the people of Israel and Judah were carried off into captivity. But even in captivity, God sent prophets. He sent men like Daniel and Ezekiel to tell the people that their punishment in captivity would end. And it did end. At the end of 70 years in captivity, the Jewish people were allowed to return home and rebuild Jerusalem and the temple. God continued to send prophets to keep them on track and keep their priorities straight. You can read all about it in Ezra, Nehemiah, Haggai, Zechariah and Malachi. Over and over again, throughout Israel’s history, God sent prophets to speak His Word to the people. But over and over again, Israel ignored them, continued to rebel against God, and sometimes even killed the prophets. The parable in Mark 12 about wicked vinedressers explains this exact point. Jesus says the same thing in Luke 11:47-49. God sent the prophets, and all the people did was ignore or kill them. As this was going on, God warns the people in Amos 8:11 that if their behavior continues, a time will come when He will send no more prophets to them. God says that a famine will come upon the land; not a famine of food, but a famine of hearing the Word of the Lord. And that is exactly what happened. After Haggai, Zechariah and Malachi died, the land of Israel went into a period of silence. For 400 years, not a single prophet was heard in the land. Certain false prophets showed up from time to time trying to fill the void, but they soon proved to be counterfeit. The Jewish people, recognizing the loss of a prophetic voice to keep them on track, developed various religious organizations to help the people maintain obedience to the law. The High priest became the religious ruler over all the Jews. But under him were groups like the scribes, Pharisees, Sadducees and Zealots. It was also during this time that synagogues were formed. Synagogues were very much like our churches, and on the Sabbath, people would gather in the synagogue to hear a Rabbi teach. Most of these religious groups became so intent on keeping the law in hopes that a prophet would appear, they lost sight of God’s true purpose of the law. They become inwardly focused and internally corrupt. In an attempt to atone for past mistakes, in an effort to compel God to send another prophet to them, the people became legalistic with the law. Obedience to the law became an end in itself. They became experts keeping the letter of the law while disobeying it’s intent. Imagine that as you were growing up, your dad used to talk to you all the time. You and he would go on long walks and have deep conversations. As you grew, he would talk about fishing and sports. He was also loved to talk about gardening and music. As you entered your teens, he gave you advice about dating and love. During these years, you often did what you knew was wrong. You knowingly disobeyed your dad. But whenever you did something wrong, he would sit you down and, after some discipline, gently explain what you did wrong and why it was wrong. Then he would take you in his arms and give you a big hug. But then one day, you did something really bad, and he stopped talking to you. You knew your sin hurt him, but you didn’t realize how bad until he stopped talking. You apologized, but it made no difference. You tried to live differently to make him proud of you again, but he still never said a word. Sometimes, you would get angry at him for not talking to you. Other times, you would get angry at yourself for messing up so bad. Sometimes, you thought that since he wasn’t going to talk to you, you might as well go out and live however you wanted. Other times, you tried your hardest to follow his wishes – the ones you remember anyway. But the silence goes on for years. You tell yourself that if he ever speaks to you again, you will never let him down. You will hang on every word. Can you imagine the pain such silence brings? Can you imagine the doubt, the fears, the anxiety? This is similar to what the Jewish people were experiencing during those 400 years of silence. God stopped speaking to them. They were trying their best to hear from God again. They told themselves that when the next prophet appeared, they would listen to him. Unlike their forefathers, they would obey this new prophet. And then, one day, there was a voice. A voice calling in the desert. He came dressed in camels hair, eating locust and wild honey. But never mind what he wore; it was his words that people wanted to hear. This man, named John the Baptist, spoke the Word of the Lord. And all the people of Jerusalem, Judea and all the region around the Jordan river went to hear him preach. It is with this event that Jesus picks up in Luke 7:24-27. Luke 7:24. When the messengers of John had departed, He began to speak to the multitudes concerning John: “What did you go out into the wilderness to see? A reed shaken by the wind? Notice first of all that it is not until John’s disciples depart that Jesus honors John. You may be slaving away for Jesus, and it doesn’t seem that He notices or cares. But hang in there, for when you get to heaven, Jesus will praise and honor you. And who knows? He may be boasting about you right now to the saints in heaven. Jesus praises John in the presence of others. They had all gone out into the wilderness to see John, and Jesus reminds them of what they went out to see? He asks them first if they want out to see the reeds on the banks of the Jordan river. Obviously they had not. They could go see reeds on the banks of the Jordan any day of the year. There was nothing special about that. Luke 7:25. But what did you go out to see? A man clothed in soft garments? Indeed those who are gorgeously appareled and live in luxury are in kings’ courts. John was dressed in camel’s hair, so they definitely didn’t go out to see someone dressed in splendor and glory. If they wanted to see that, they would go to the palaces and kings’ courts. Luke 7:26. But what did you go out to see? A prophet? Yes, I say to you, and more than a prophet. How was John more than just a prophet? Well, first of all, as we have already learned, he was the first prophet in Israel for 400 years. That makes him special. But secondly, as we see in Luke 7:27, John was more than just a prophet because there was something about him no other prophet had. There were prophecies about his coming. This is one of the prophecies about John in the Old Testament. No other prophets were foretold in this way. That makes John a very important prophet. He is the first prophet in 400 years. He was a prophet that was prophesied about. But more importantly still, as we see in Luke 7:27, this prophet will have a very important responsibility. He will prepare the way for the Messiah. While all the other prophets only spoke about the coming Messiah, this prophet, John the Baptist, would actually get to prepare the way for the Messiah. 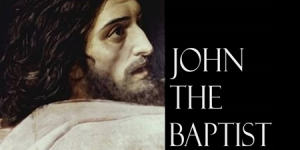 This prophet, John the Baptist, would be alive when the Messiah arrived. That makes him the greatest of all the prophets. All the other prophets longed to see what John was seeing. Hebrews 11:13 says they all died in faith, not having received the promises, but only seeing them afar off. But John, the last prophet of the Old Testament era, lived and ministered and served in the time that Jesus Christ, the Messiah, came to earth. That is why he is the greatest prophet. This is what Jesus says about John in the first part of verse 28. But Jesus goes on to say in the rest of Luke 7:28 how you and I can be even greater than John. John was the greatest prophet, but you and I can be greater still. If you are in the kingdom of God, you are greater than John the Baptist. Though he was the greatest prophet, the least in God’s kingdom is greater than he. So are you a member of the kingdom of God? There is only one entrance fee. There is only one membership requirement. To be greater than John, to be a member of the kingdom of God, you have to be perfectly righteous. Since it is God’s kingdom, that is his entrance requirement. No sin allowed. Not a lie, not a theft, not a bit of laziness or greed. The kingdom slogan is “One sin and you can’t get in.” That’s what James 2:10 says anyway. Whoever keeps the whole law, and yet stumbles in just one point, is guilty of breaking all of it. Let me do that for you. If you want to get into the kingdom, there is only one way. It is through the door. And the door is Jesus Christ. He says in John 10:9, “I am the door. If anyone enters by Me, he will be saved.” Jesus says over in John 14:6 that He is the only way to get in. No one comes to God the Father, no one gets into the Kingdom of God expect through Jesus Christ. You see, as I indicated, entrance into the Kingdom requires perfect righteousness. None of us can achieve that, so Jesus Christ, God’s only Son, came to earth, and achieved it for us. He lived a sinless life. But then, more than that, He died for us, and rose from the dead to purchase our entrance fees for us. Now, He says to you and to me, “I’ve paid the price for you to get into heaven. I’m offering it to you free of charge. All you have to do is believe in me to receive it.” To get into the kingdom of God, to enter through the Door, all you have to do is believe in Jesus Christ for eternal life. It’s that simple. But although it is simple, it is so hard to accept. Most people have trouble finding the Door, because they think that in order to get into the kingdom, they have to do something. They have to repent of their sin, or commit to a life of Godliness, or promise God to change something in their life. What they do not realize is that Jesus already paid the full price. There is nothing left to pay. You just have to receive Christ’s invitation, and walk through the Door. The other thing that most people don’t understand is that once you are in the kingdom, once you have walked through the Door that is Jesus Christ, that’s when the real adventure begins. One of the first things you encounter when you enter into the Kingdom of God is a huge fitness center. Sure, there is a country club out back. There’s a mansion on the hill. There are streams and rivers to walk along. There are wonderful restaurants to eat in. But one of the first things you encounter is that fitness center. God wants His Kingdom of God to be filled with fit people. I do not mean physically fit, although that is a small part of it. I mean spiritually fit. God wants you to exercise spiritually. He’s got a great big kingdom for you to enjoy, but to enjoy it, you’ve got to be spiritually fit. That means you’ve got to get rid of that weight that weighs you down. You’ve got to throw off the sin that so easily entangles. You’ve got to learn how to run the race with perseverance. You must turn away from the bad habits and sinful tendencies you used to live in. You didn’t have to do these things to get into the kingdom, that was free. But once you are in the kingdom, you need to get in shape spiritually in order to enjoy the kingdom. That means you read your Bible. You pray. You love Jesus. You learn about God. You get involved in ministry. You serve in some way. You say, “What if I don’t do these things? What if I just want to be glad that I’m in the kingdom, and sit there at the entrance, staring at all the beauty and grandeur?” Well, in that case, you will be the least in the kingdom. Over in Matthew 5:19, Jesus explains the difference between the least in the kingdom and those who are great in the kingdom. He says, “Whoever…breaks one of the least of these commandments, and teaches men so, shall be called least in the kingdom of heaven; but whoever does and teaches them, he shall be called great in the kingdom of heaven.” The least in the kingdom are those who entered through the Door, but when they get there, they just sit at the entrance. They continued to break Christ’s instructions. They taught others who came through the door that following Christ isn’t that important. They think that the kingdom is all about looking at the scenery. Now certainly, being in the kingdom is great. Those who are least in the kingdom have seen something more than all the prophets saw, and have experienced more than even John the Baptist. Though it is great to be in the kingdom, that is just the tip of the iceberg. But there is so much more to enjoy. So much more to experience. Sure, it’s nice to be greater than John by being in the kingdom, but like Aslan in the Chronicles of Narnia, Jesus is calling us to come “Higher up and farther in.” There are unfathomable riches, and inexhaustible joy for those who follow Christ higher up and farther in. Lewis Sperry Chafer, in his theology book on salvation lists over thirty riches God has given to those who are in His Kingdom. A few years ago, I did a study, and found several more that he forgot. And I am certain, there are dozens more that I forgot. I am more certain still, that there are millions more that God just didn’t record in Scripture. If it’s good to be the least in the kingdom, then it’s even better to be great in the kingdom. There are untold riches for you to have and experience there. God has given these riches to all those who are in His kingdom. If you have believed in Jesus Christ for eternal life, you are in the Kingdom. But are you experiencing the riches? You have a choice in the matter. You can either sit at the entrance, and enjoy the scenery, or you can enter into your inheritance, and see all that God has prepared in advance for you. It’s your choice. Are you going to turn your back on the world, and it’s empty promises of success and glory? Or are you going to turn from the world and follow Jesus? Once you are in the kingdom, these are the only two options you face. Jesus goes on in Luke 7:29-30 to show that the people who heard John preach faced these same two choices. Some responded to repent. Some chose to remain in their sin. When John preached, there were two different responses. Luke 7:29-30. And when all the people heard…even the tax collectors justified God, having been baptized with the baptism of John. But the Pharisees and lawyers rejected the will of God for themselves, not having been baptized by him. Some think that Luke 7:29-30 is an aside, or parentheses, by Luke. Others believe that Jesus is continuing to speak about the ministry of John and how people responded to him. If this is the case, the end quote punctuation mark should be at the end of Luke 7:30. But whether these verses are Jesus’ words or Luke’s aside, the passage still teaches truth. Whenever God’s Word is preached; whenever people face a choice, some will go one way, and others will go another. Some will choose to follow Jesus; others will choose to think their own way is better. Some will repent; others will remain in their sin. In Luke 7:29, all the people heard. This means that all the people heard what John preached when he was at the Jordan. 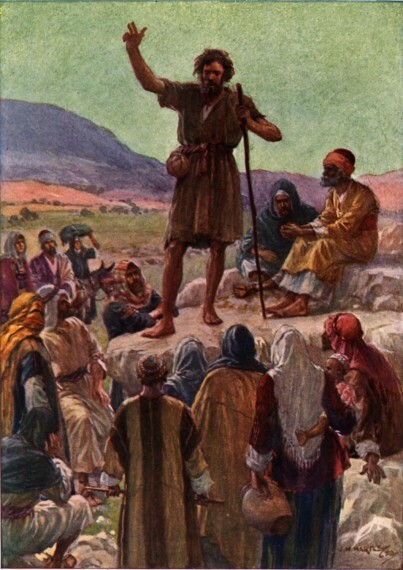 All the people of Jerusalem, Judea, and the region around the Jordan came to hear him preach. When you go back and read Matthew 3 and Luke 3, we see that the sinners and tax collectors and soldiers repented of their sin and were baptized by John. Remember, John’s baptism was a baptism of repentance for Jewish people only. Remember what happened during those 400 years of silence? Judaism became corrupt. It became legalistic. The teachers of the law, the Pharisees and Sadducees turned God’s law of love into legalistic rules and regulations. They turned 600 Old Testament laws into over 6000. And yet, as you can read in Matthew 23, the Scribes and Pharisees were experts at keeping the law while blatantly sinning. Judaism had become corrupt. So John came on the scene, and just like all the prophets of old, told the people of Israel to repent. He called them to turn from corrupt Judaism, and return to a true, living, refreshing relationship with God in heaven. If you are familiar with the story of Martin Luther, or have seen the recent movie made about him, then you know that the situation he faced is very similar to what John faced. The established religion had become corrupt, legalistic, concerned only with power, politics and money. Both John the Baptist and Martin Luther came on the scene calling people to turn away from religiosity and back to a relationship with Jesus Christ. 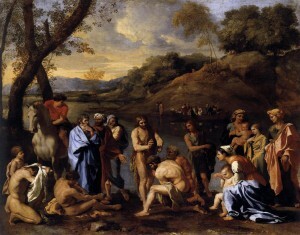 Those who recognized the truth of John’s message symbolized their death to Judaism through baptism in the Jordan river. Going under the water symbolized their death to the old way of life, and a resurrection to the new. Luke 7:29 says that those who were baptized by John justified God. The word justified means “to declare righteous.” So those who were baptized by John declared God righteous. They didn’t make God righteous; He already was righteous. What they did is recognize that God is righteous, and that Judaism had become corrupt, and through repentance, they would follow a righteous God rather than religiosity gone wrong. But in Luke 7:30, the lawyers and Pharisees, just like the religious leadership in Luther’s day, could not admit that their system of works righteousness they had worked so hard to build and maintain was actually a pile of filthy rags (Isa. 64:6). Luke 7:30. But the Pharisees and lawyers rejected the will of God for themselves, not having been baptized by him. They responded negatively to John’s message, and refused to get baptized. Therefore, though they thought they were keeping God’s law, they really had rejected the will of God for themselves. How are you going to respond to God’s call? He calls everyone to repentance. So what will you do? Will you justify God or reject Him? Will you follow God or neglect Him? Will you explore and enjoy the kingdom, or will you sit at the entrance and be content with being least in the kingdom? A man once bought his mother tickets for the symphony. Tuesday, 7:00. On Wednesday, he called her up to find out how she liked it. “How was the symphony?” he asked. “I couldn’t hear the music,” said the mother. “Oh, it’s okay. Nothing special, really.” But as it turns out, he didn’t read His Bible. He didn’t fellowship with other Christians. He didn’t pray. He had entered into the kingdom, but then just sat at the entrance. It was okay for a while. The view was grand. But after a while, it got boring just sitting there. If Christianity is boring to you, that’s because you’re still sitting at the entrance. Come on in. Get on a workout routine. Eat the healthy milk and meat of the Word. Take a look around. Try a few things out. If you just explore God’s will for your life a bit, you will soon discover unspeakable joy and peace without measure. You will never again say that Christianity is “okay.” You will wonder how you ever got by without it. But it all depends on how you respond to the call. Like David Livingstone and his brother, your older brother was famous. He was John the Baptist. 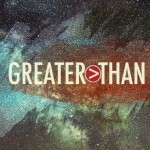 But you are greater than he was if you are part of the kingdom. When you get to heaven, you may want to meet John the Baptist. But have you ever thought that he may want to meet you? And talk with you? Why? Because while on earth, you were part of the kingdom! You are great because you are part of the kingdom of God. Be like David Livingstone in Africa. Go higher up and farther in. Get in shape, then explore the kingdom of God. Who knows what treasure you might uncover? this verse means to me. It excites me to think of how unbelievable we will be in heaven. Thank you, really you have widened my understanding. Thank you the author. God bless you, I love you more and more. As from now I will be following this link.